Mallorca, one of Spain’s Balearic Islands, keeps its 10 Michelin Stars. The ninth annual Michelin Star Awards were held in Tenerife, one of the Canaray Islands and another fabulous ‘foodie’ destination. Mallorca has been experiencing a food revolution in the recent years with some great new restaurants opening. The fine-dining ‘Vandal’ and the ‘You Buy We Cook’ restaurant in the Mercat de l’Olivar. It also has a new gastro market recently opened in its capital Palma and with the growing trend of gastro markets the new Mercat 1930 is the place to go to sample many different dishes in one setting. Simply Fosh, Mark Fosh’s restaurant is in the lively heart of Palma in a 17th century mansion. 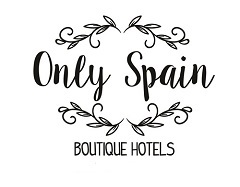 Simply Fosh offers traditional Spanish cuisine with a modern twist and the award is for its emphasis on seasonal ingredients and ‘clean flavours’. Another Palma based restaurant is Restaurant Adrian Quetglas, named after the creator and head chef which has retained its star for its outstanding menu offering a combination of natural products, traditional flavours, and avant-garde techniques. Restaurant Zaranda, a more rural setting in the luxury hotel Castell de Son Claret in the Tramuntana Mountain range and headed by Fernando P. Arellano maintained its two Michelin Stars. The award is for its impeccable fusion of flavour, aroma and texture. Head Chef Alvaro Salazar who won San Pellegrino Young Chef’s award in 2016 and is a finalist for Best Chef of 2018 heads Restaurant Argos in Port de Pollença. Argos describes itself as ‘free cuisine’ – traditionally prepared dishes using seasonal and local product whilst tapping into creative gastronomy. Located within the traditional Mallorcan Finca Predi de Son Jaumell in Capdepera, now a luxury hotel is the Restaurant Andreu Genestra, named after the head chef. Genestra goes to great lengths to make the cuisine innovative yet traditional, often picking products from his own garden. To the south of Capdepera, Es Molí d’En Bou in Sa Coma boasts a ‘unique sensory journey’ showcasing new techniques but also rooted in the island’s culinary traditions. Led by Tomey Caldentey, it is the 15th consecutive year that the restaurant has been awarded a Michelin Star. Es Racó d’Es Teix in Deiá offers the best ingredients combined with the highest culinary art. Complemented with stunning views of the mountains alongside elegant cooking from Chef Josef Sauerschell, this is a gastro gem. Palmanova restaurant Es Fum within the grand luxury hotel St Regis Mardavall – is often described as a ‘culinary pearl’. Head Chef Miguel Navarro, who started his culinary journey aged 16, offers delicate combinations and an ‘epicurean experience’ while gazing over the Mediterranean Sea. The fare in Jardín in Port d’Alcudia blends flavours from the sea, fields, mountains and forests of Mallorca and tends to use ingredients “forgotten in our busy modern world”. Run by siblings Maca and Dani de Castro it has held its Michelin Star since 2012.